...your relaxing break or romantic getaway starts here! Relax and explore the beautiful Yorkshire Moors, Scarborough and Yorkshire Coast, in complete comfort at Ox Pasture Hall, one of the finest luxury hotels in Yorkshire. Ox Pasture Hall Hotel is a relaxing and romantic place to stay - a former country house surrounded by barns and out-buildings, which has been transformed into a luxury country house hotel. The hotel has been beautifully restored and extended, to provide a range of luxury accommodation, from classic doubles, deluxe bedrooms, four-posters and a choice of luxury suites. Many with breathtaking views of the Yorkshire moors. Ox Pasture Hall Country House Hotel is located in one of Britain's most beautiful settings in stunning North Yorkshire countryside. 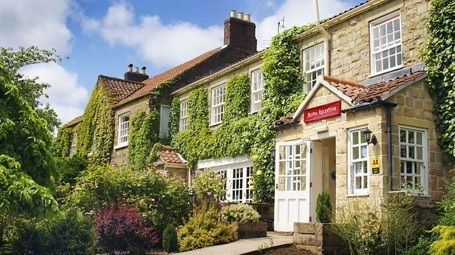 Here you can enjoy heather filled moors, scenic dales and the spectacular heritage coastline, all within a few miles of this superb luxury Yorkshire hotel. 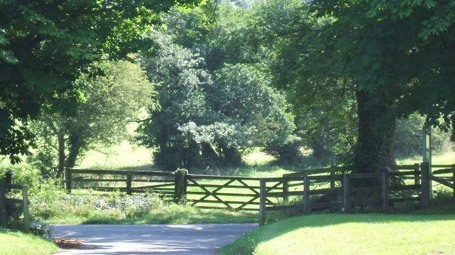 The hotel is set in seventeen acres of enchanting gardens and grounds in the magnificent North York Moors National Park, just a few minutes from the seaside resort of Scarborough, which provides guests with the ideal base from which to explore North Yorkshire, England’s most beautiful county. Ox Pasture Hall Hotel is chic, stylish and unique, with lots of rustic style and charm. A warm and welcoming country house retreat where you will be looked after from the moment you arrive, until the time comes to tear yourself away. Here you will find extreme comfort, the fruits of a thoughtful kitchen and a beautiful country setting which is second to none. If you’re considering a luxury hotel break, then it has to be special. Somewhere that’ll make a real difference to your everyday life; one that will leave you recharged and ready to face the world again. A luxury country house hotel break at Ox Pasture Hall offers the perfect opportunity to get away from city life, and enjoy a more relaxed and rural country break in Yorkshire. Ox Pasture Hall Country House Hotel is widely regarded as the best of all the Scarborough hotels and is consistently rated one of the top luxury hotels in Yorkshire, which makes the hotel perfect for a luxury short break or romantic weekend getaway. Ox Pasture Hall is more than a luxury hotel, it's a place to relax from the stresses of everyday life, a place you will never forget and a place to enjoy really good food. The Courtyard Restaurant has built a reputation for serving exceptional food and wine, with a menu designed to tempt the most discerning diners. The Courtyard Restaurant is perfect for your special occasion, romantic diner or just spoil yourselves with some delicious tasty food. The menu draws heavily upon the local landscape with an emphasis on Yorkshire produce. Locally sourced ingredients are finished off with imagination and finesse; providing a fabulous dining experience. Afternoon Tea is also popular and served daily from 2.00 pm. Please take a look at our food and drink section, which will give you an insight of the fabulous food being served in the Courtyard Restaurant. Ox Pasture Hall is also a dog friendly hotel, so we delighted to be able to offer you a selection of dog friendly bedrooms. Here at Ox Pasture Hall Country House Hotel every guest, including those who bark, will experience our exceptional service and a warm Yorkshire welcome. 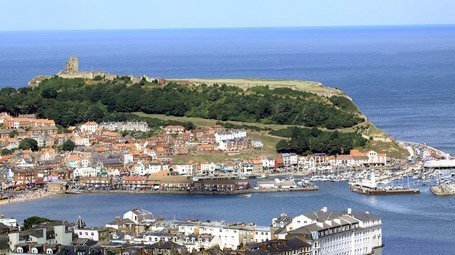 With so many interesting walks to enjoy within the surrounding Scarborough area, it seems a shame to leave your dog at home. There are lots of local dog walks and of course the Yorkshire Moors has over 1,400 miles of paths and tracks to choose from, which is overflowing with opportunities for exploring with your dog. 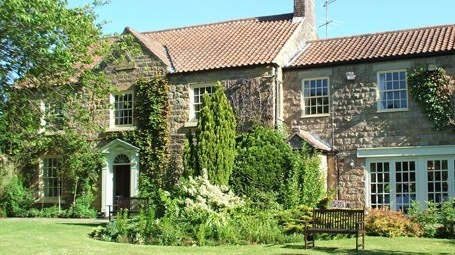 With its exceptional food, luxury accommodation and a country chic feel – it is little surprise that Ox Pasture Hall Country House Hotel has become the destination of choice for discerning travellers looking for a luxury hotel break in the Yorkshire Moors and Yorkshire Coast area of North Yorkshire.